Raf's Recollection | Tim Kennedy is never short on soundbites. Last time he was on our podcast [Episode 42], he let it be known he wants to die fighting a set of bionic sharks underwater. This time, he leaves us with perhaps the most memorable way we've had any MMA practitioner describe their fighting style. 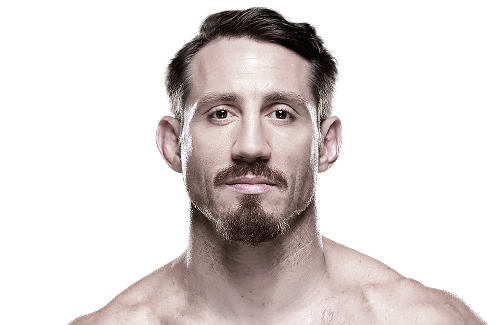 But it's not all fun and games, Tim Kennedy gets serious with us when he talks about his upcoming fight against Michael Bisping. And, by serious, I mean he takes the time to pretty much shut down the Count's attempts to insult him before they face each other at next month's TUF Nations Finale (congrats, you have a reason to watch it now!). We also stage an intervention and confront Tim on his reported status as a "bully" at Jackson's MMA, we get him to talk the rough night at the office that was UFC 171, and we take him to The Danger Zone. Also, somehow in the conversation, we got around to talking about Rocky IV. Which somehow lead me to the following working of art on the right hand side here. I don't have much to say about it, other than I think it's important I bring it to your attention so that we can all bask in it's collective beauty. Obviously, Tim crushes it on this week's installment and makes it worth your time. For further reading: We highly suggest you take a look at Tim's recent yahoo blog response to Michael Bisping (which is nothing short of epic). Don't forget to make plans to watch Tim return to the Octagon, April 16th for the TUF Nations Finale. We don't often get to chat with game-changers on the podcast, but when we do, we make sure to make the most of our time with them. Brian Cimins has been at the forefront of the grappling community for over fifteen years, but he isn't just resting on the established popularity of the brand he created with Grapplers Quest. Recently, Cimins launched LiveGrappling.com, a subscription based YouTube page (described as "the Netflix of submission grappling") that gives you full access to the Grapplers Quest library. In addition to the hours of Grapplers Quest footage, you'll also have the ability to live stream GQ tournaments and exclusive seminars with some of the most recognizable names in the BJJ community. The channel will run you about $5 a month, or the cost of about one DVD instructional set you'd purchase from just one major BJJ player. And as we discover on the podcast, Brian is more than just a guy behind an impressive grappling brand or a guy with an impressive set of ties to MMA community (his story about Dana White is NOT to be missed), he also serves as a motivational life coach and is a major proponent for Autism research. During our time with Brian, we got him to share his philosophy about his charitable efforts and offer some words of wisdom to the next generation of BJJ and MMA promoters and entrepreneurs. You can find out more about Brian's charitable efforts and life coaching advice over at his blog right here. But Wait, There's More Car-shal, the collective brain trust of Artechoke Media's Marshal D. Carper and his lovely wife Caris, return to the show this week to find out who won the UFC 171 installment of Over/Under Kevin. Please send your deepest sympathies over to Marshal here and your thanks to Matt here. I briefly mentioned this on our shout out section of our podcast (and I don't want to bum anyone out), but one of my favorite high school teachers recently passed away. In my own life, Coach Martin was instrumental in providing a framework for a playful, educational, and inviting environment within the classroom—which is something I've worked hard to cultivate with the students I've mentored along the way (as well as the very podcast you listen to today). On this episode, I tell a short story that doesn't even begin to do him justice for the influence he had in my life. The long of the short of it is: Mr. Martin was the only reason I ever remotely considered doing an activity like mock trial (yep, way nerdy, right?). I didn't even know what it was (we basically conducted a trial, as lawyers and witnesses, learning the legal system throughout the process), but Coach Martin didn't bother with the details. He pitched it to me as a great opportunity to try something new and that I might find I'm pretty good at it. His unwavering confidence in my ability and his persistence in getting me to join was always appreciated, as it underscored the importance of what it felt like to have teachers who believed in and fought for you. Not only did I have the opportunity to be on the mock trial team with Mr. Martin, but I had the pleasure of being one of his students. Mr. Martin didn't just teach civics, he had a passion for getting his students to want to learn about their government and contribute back to the community. I distinctly remember him starting every civics class with an open ended question, directed a specific student, with the intention of making everyone feel welcomed and invited over the semester. He never told you if you were right or wrong and often punctuated his answers with a whimsical "I don't know, that could be it." It was around this time that I remember first becoming familiar with the philosophy of Socrates. Like any student exposed to something new, I found myself making the connections to the world I knew. And in the world I knew, Mr. Martin facilitated discussions with the same respectful sense of humor that also served as a means of encouraging students to find their own enlightenment. And while I may have never gotten to meet Socrates in my lifetime, I got the chance to meet and befriend a Mr. Martin. You may never read about him in a book, but I think that's all the more reason to celebrate his life. My condolences and thanks to his family, for allowing us the pleasure of getting to know him.